Posted on August 31, 2013 by Warin	in 1963, Bayard Rustin, BBC, Dorothy Height, Fannie Lou Hamer, March on Washington, Martin Luther King Jr., Medgar Evers, NPR, Rosa Parks. This past week was a big anniversary when it came to the fight for justice here in the United States. For it was 50 years ago on August 28, 1963, that the Civil Rights March on Washington took place. The March on Washington represented a crescendo in the movement for racial equality in America. It wasn’t just that people were marching either. They were voicing their opinions, participating in sit-ins and boycotts, being beaten and even killed for challenging the law of the land in which they were not merely seen as unequal, but forever subjugated to a second class existence. Martin Luther King typically gets most of the credit and acclaim when we look back on the March on Washington, but there were a bevy of people who also made the moment so special. People such as: Fannie Lou Hamer, Medgar Evers, Bayard Rustin, Dorothy Height, Rosa Parks, and countless other young people as well who took part in the movement. Their sacrifices are ultimately what lead the groundwork for the U.S. finally beginning to live up to its creed nearly 200 years after the signing of the Constitution. 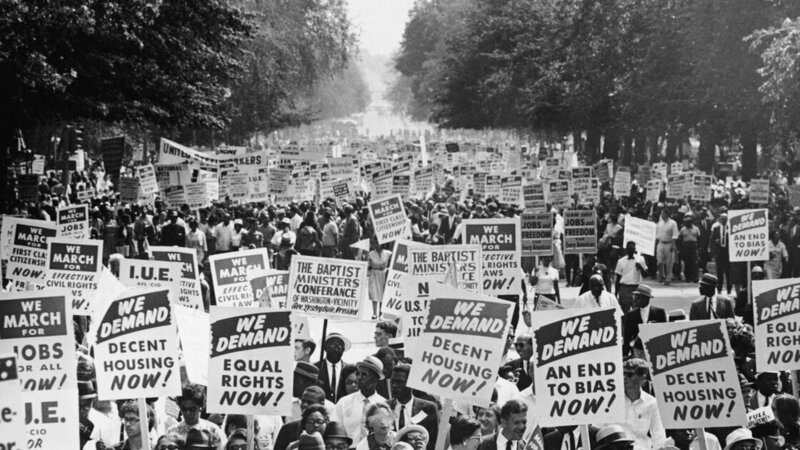 As great and symbolic as the March on Washington was in 1963, we can’t stop there. We must keep moving forward everyday.